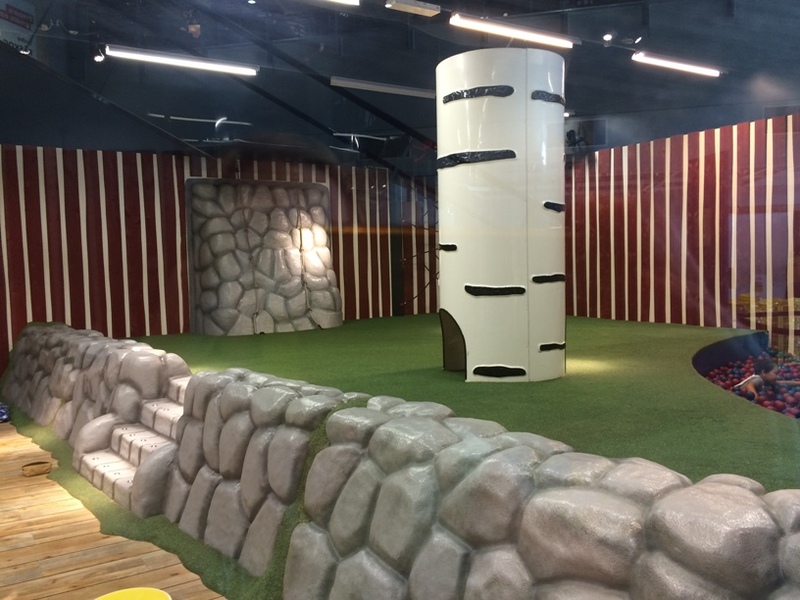 If you want some time to wander the displays on your own you can put children 3yrs-8yrs that are toilet trained in Smaland. 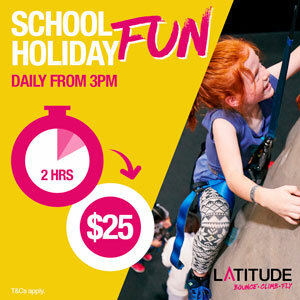 You can leave the for up to an hour, and they can enjoy the ball pit, movies and lots of other fun activities. 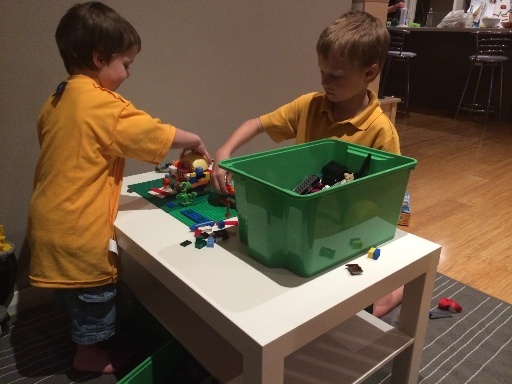 Our mission today was to make a Lego Table - you can check this out below. 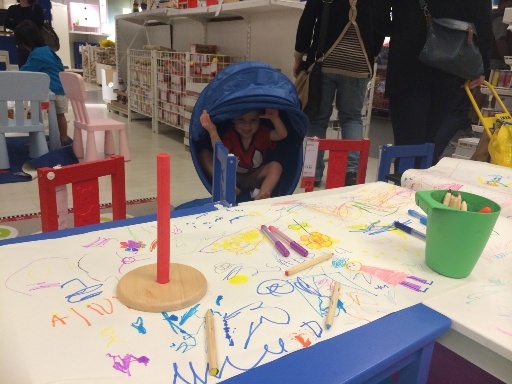 If you do wander through with the kids they'll love the kids area, they have lots of the stuff they sell out to try and there is a great colouring in table set up too! 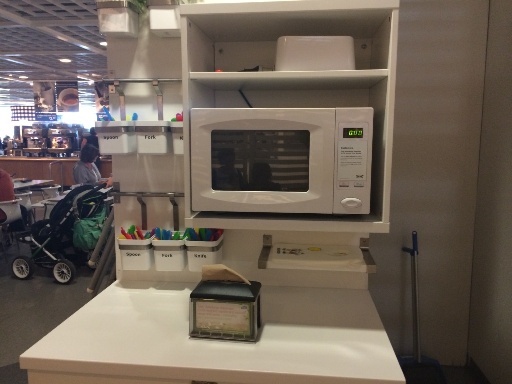 IKEA Innaloo is also a great place for a play an to enjoy a meal. The restaurant is cafeteria style where you take a tray and select most of the items you want and place them on your tray or request those items that need to be served up then pay at the end. The IKEA Restaurant is popular due it's cheap meals with regular special meal offers - including $1 kids meals on certain days and at certain times. 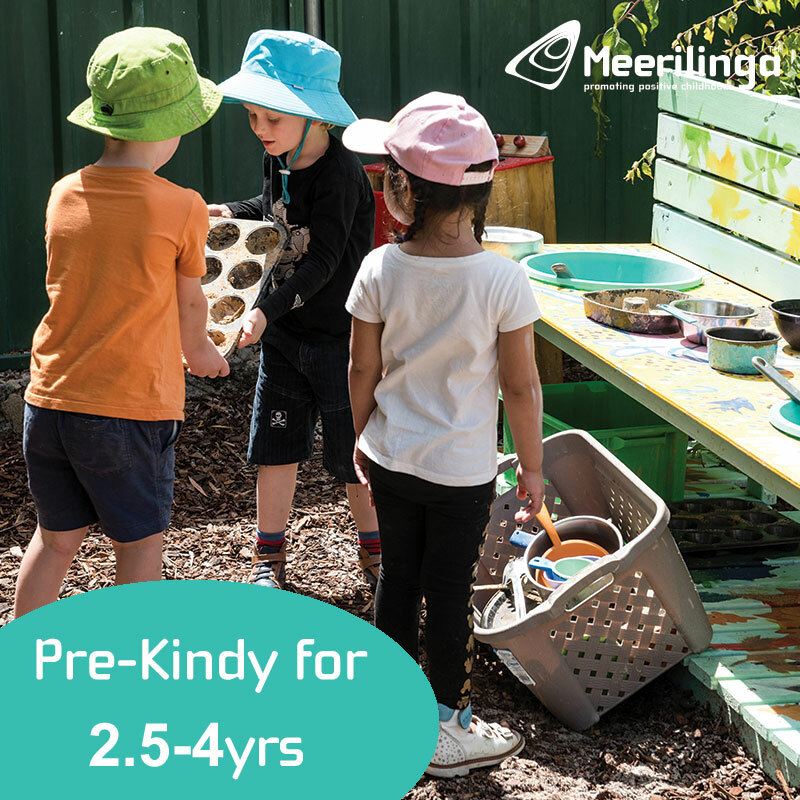 For the kids there is also $2.50 breakfasts, $2.95 chicken nuggets or meatballs with vegetables or a snack pack with wholemeal sandwich, fruit bar, popcorn, yogurt and a soft toy all in a brown paper bag for only $3.95. 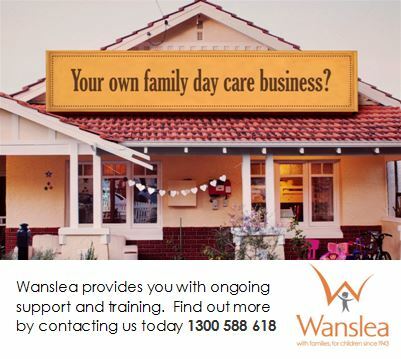 So you can see why this is a popular place for families to come to eat too! For babies (under 12 months) there is FREE organic baby food when you purchase and adults meal! There are plenty of IKEA high chairs available here too. 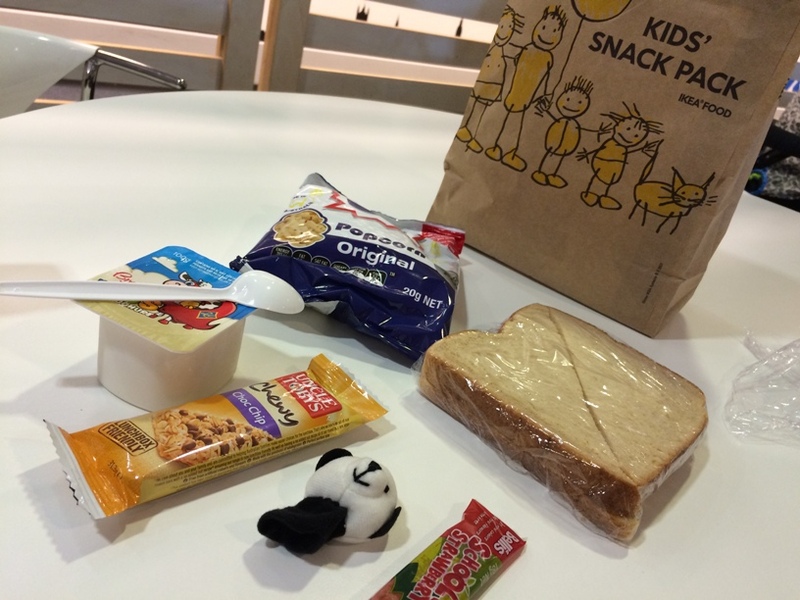 They also have this great kids pack with a sandwich, popcorn, yoghurt, museli bar, fruit bar and small toy for just a few dollars. 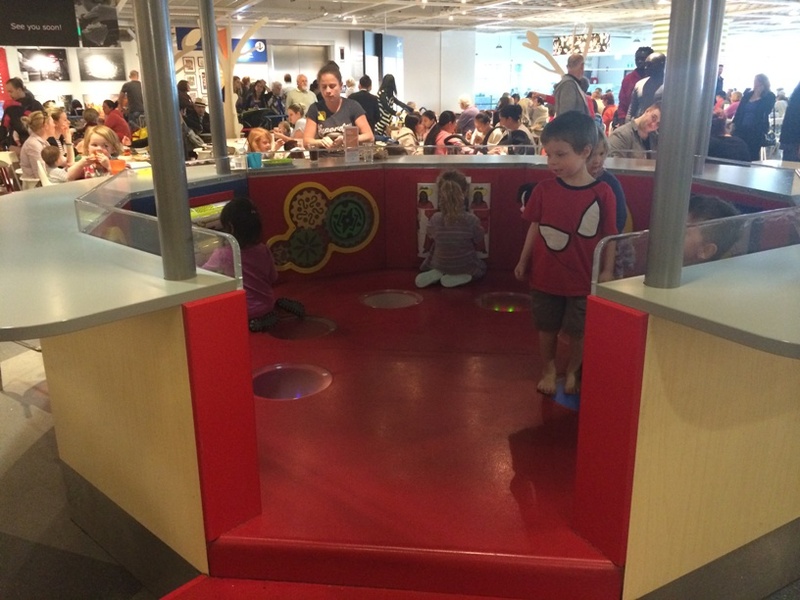 In the family area there is a round play area, inside are various play activities and on the floor are lights and mirrors - great for the younger kids to enjoy while having something to eat. You can sit around this outside of this area (pictured above). 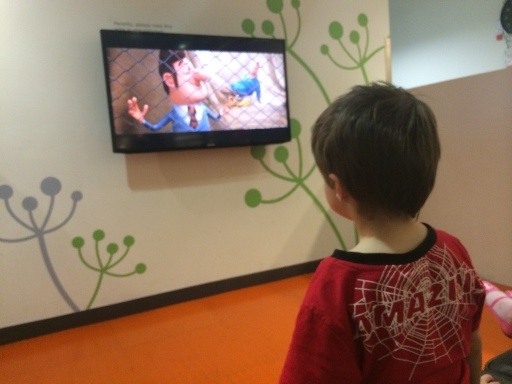 Here you will also find a lounge area with a big screen tv that is always playing kids movies. 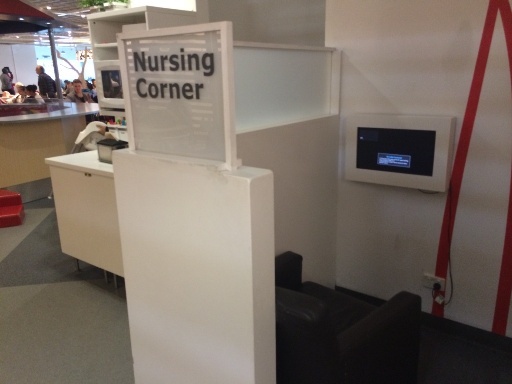 There is also a nursing area and a station with a microwave and utensils. 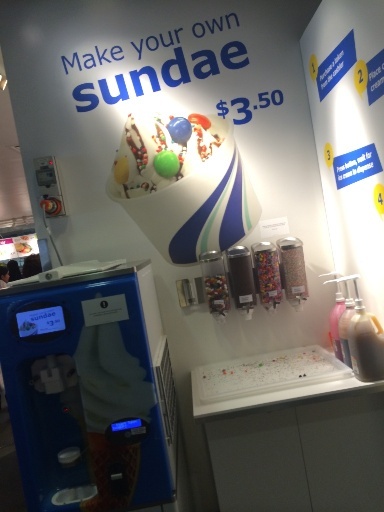 It's a great place to take kids for treat too with this great make your own sundae station for just $3.50! 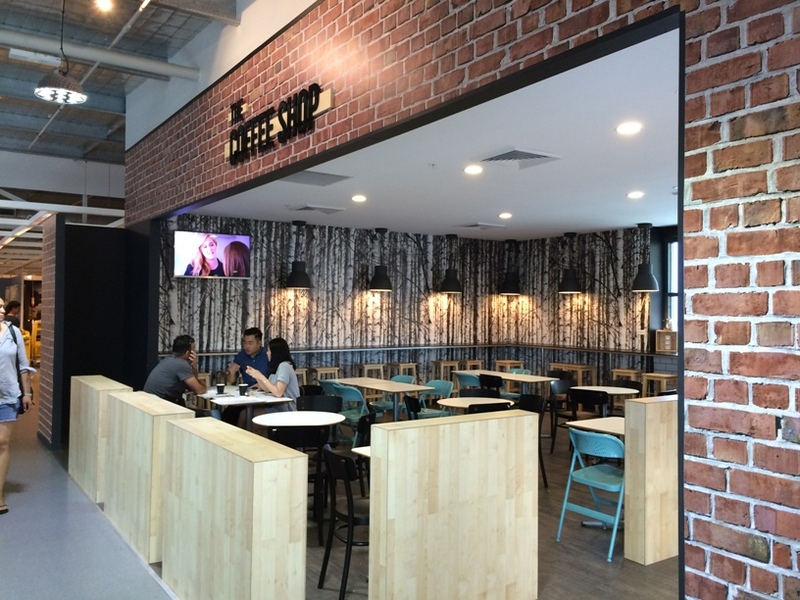 And now there's even more reason to visit IKEA, with The Coffee Shop now open across from the restaurant. 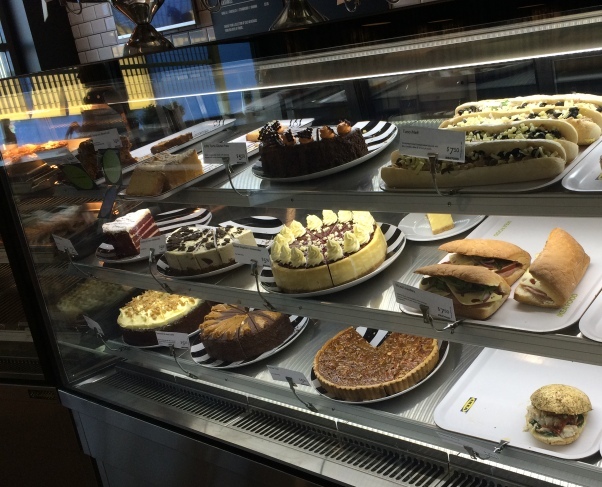 So you can enjoy a cafe style meal, or a delicous cake and coffee. Now to our mission to make a Lego table! 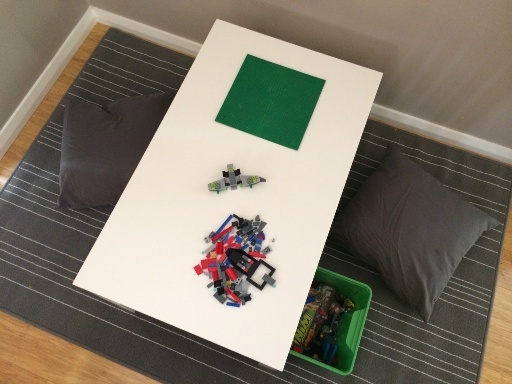 We could no longer see our dining room table so I decided to make a Lego corner in our house - and had the idea to use a cheap coffee table to create something that would blend in with our living room! Here is the final result - I still have a bit more work to do to finish it. 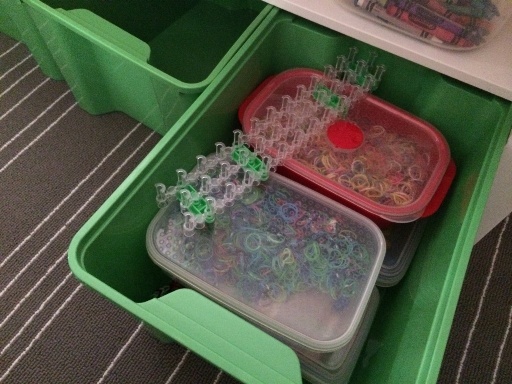 I had a 4 year old in tow and he wasn't too keen to walk back and forth to test out which baskets and containers would work best, but I'm thinking I'm just going to use sealed containers on the shelf as we have friends with younger children so I don't want any open containers they can get into. 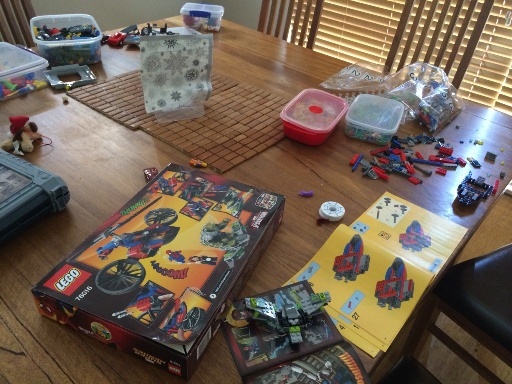 I have just blu tacked the lego boards on that we already had - you can purchase these from Big W or look out on eBay or Gumtree to get them a bit cheaper. 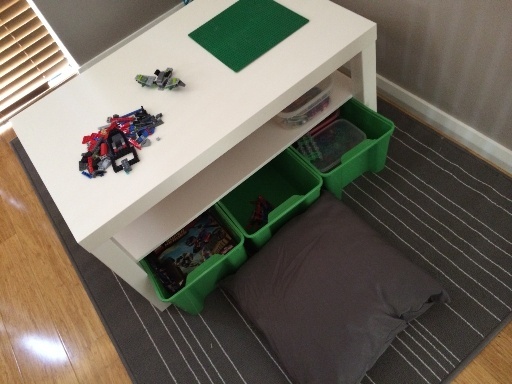 I used lots of blu tack so it's really difficult to get them off but we can do if we want to descontruct the Lego table when the kids get older. 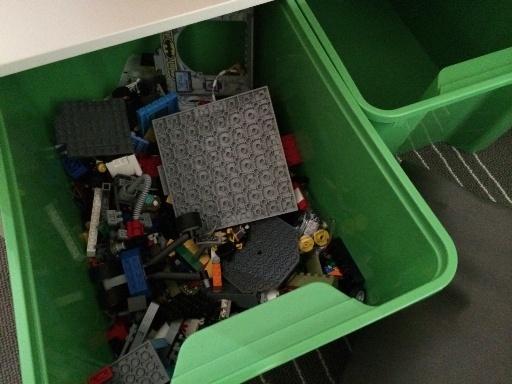 These green boxes were only $1.95 each and match great with the green Lego boards on top. They squeeze together perfectly underneath and pull out like drawers! We have stored lego, lego manuals and loom bands underneath and have put some crayons on the shelf in a sealed container... but there is lots more room on the shelf to store things like playdoh and cars! You could also fancy it up a bit and use the more expensive straw type baskets. So check out IKEA for solving those home storage problems, furnishing your home or for somewhere to enjoy a play and a great value meal!